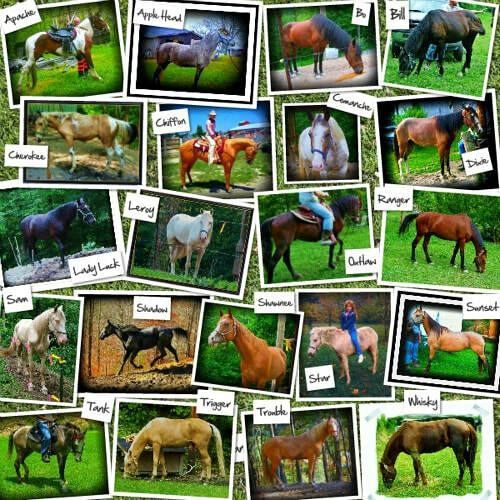 HORSES OF THE PAST - The Bentley Farm- Saddles, Tack, & More! 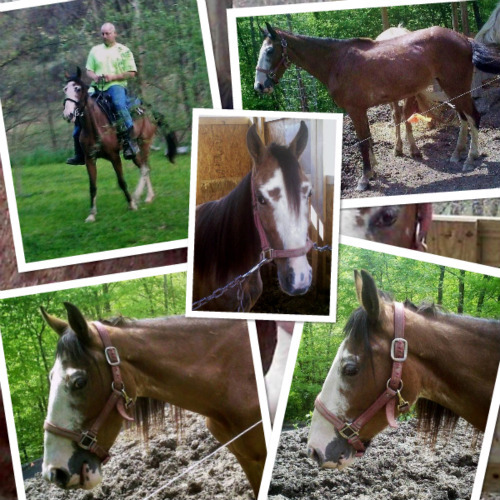 APACHE - 3 1/2 yro 15.3h Blood Bay Tobiano Tennessee Walker/Standardbred Gaited Gelding. 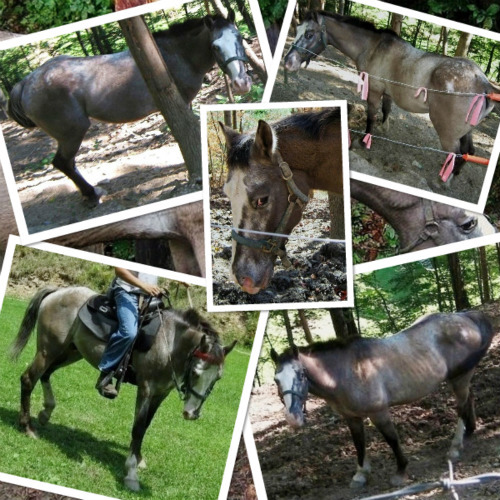 APPLE HEAD - 4 yro 15.2h Dappled Grey Standardbred/Tennessee Walker Racking Horse Gelding. 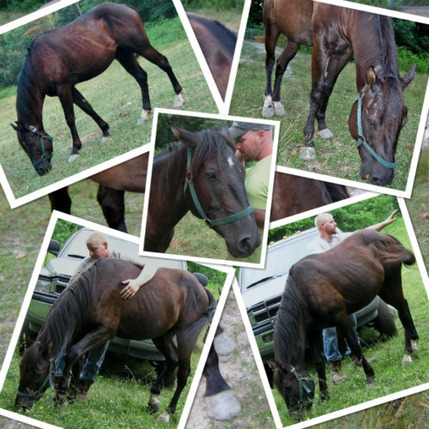 BO - 20+ yro 15.2h Blood Bay Standardbred Racking Horse Gelding. 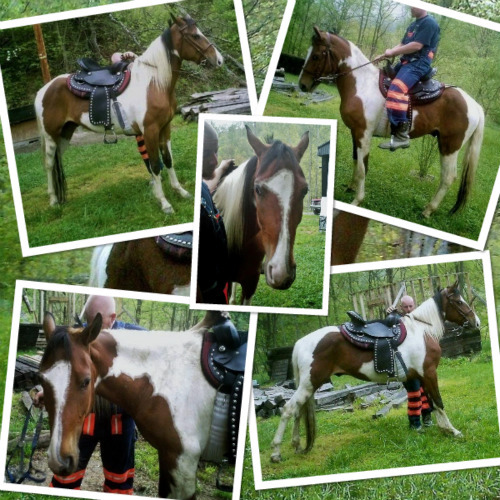 CHEROKEE - 1 yro 13.2h Buckskin Tobiano Tennessee Walker Racking Stud Colt, Registered TWHBEA. 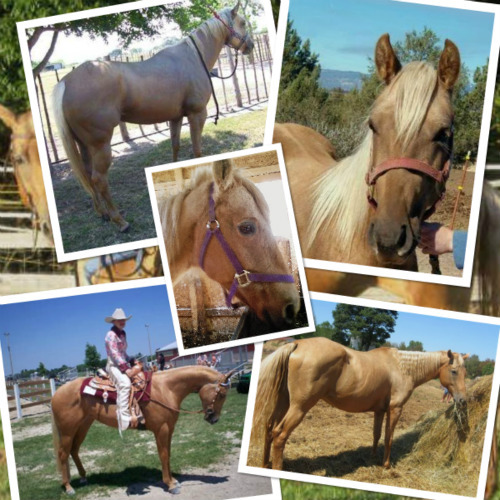 CHIFFON - 14 1/2 yro 15.0h Palomino Quarter Horse Mare, Registered AQHA. 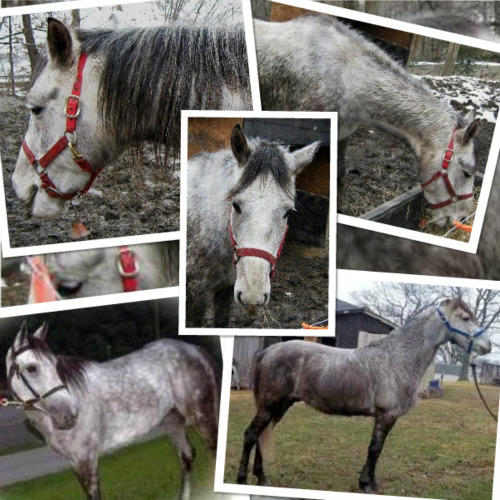 COMANCHE - 4 1/2 yro 15.2h Bay/Strawberry/Grey Roan Tobiano Missouri Fox Trotter Gaited Gelding. 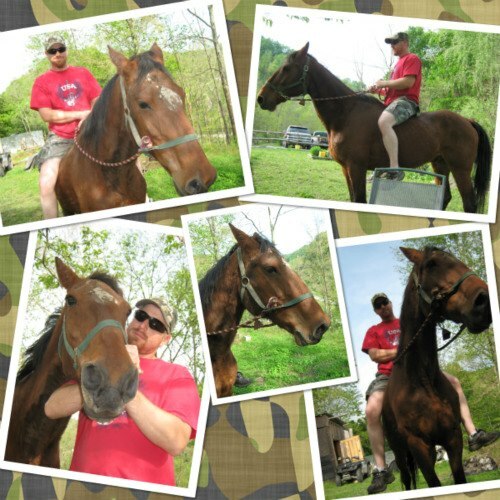 DIXIE - 5 yro 14.0h Blood Bay Roan Sabino Tennessee Walker/Standardbred Gaited Mare. 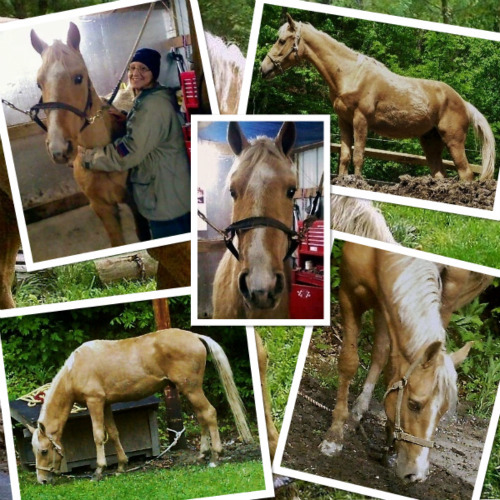 GOLDEN TROUBLE MAKER "Trouble" - 4 yro 14.3h Gold Champagne (Palomino) Tennessee Walker Racking Stud, Double Registered NAHR & CHBOA. 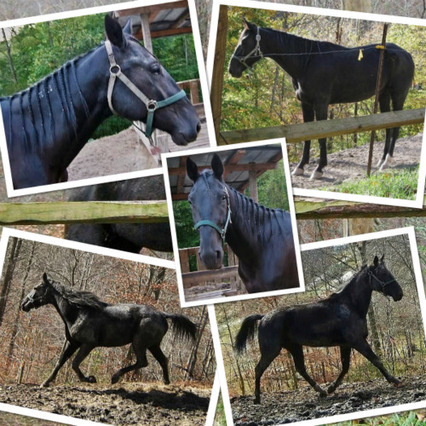 HENEEDSNONAME "Shadow" - 3 1/2 yro 16.0h Black Bay Standardbred Pacing/Racking Gelding, Freeze Branded & Registered USTA. 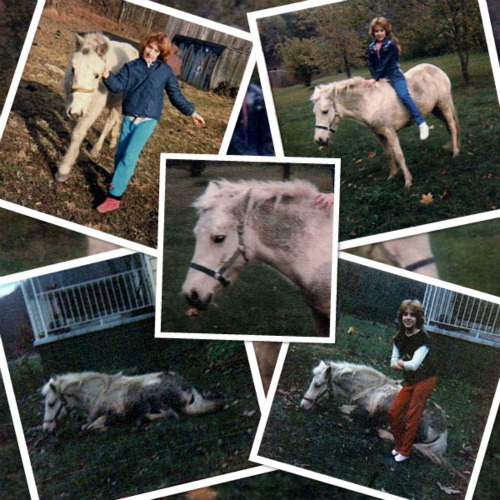 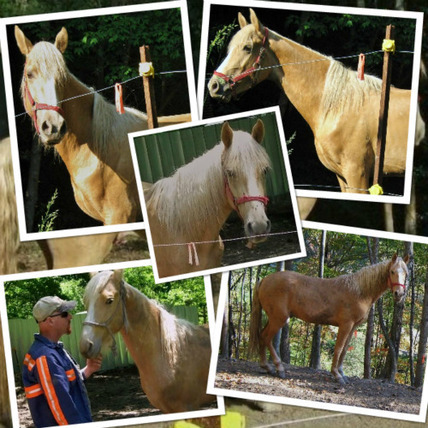 LEROY - 14 yro 14.1h Blue-Eyed Cremello Tennessee Walker/Arabian Gaited Gelding. 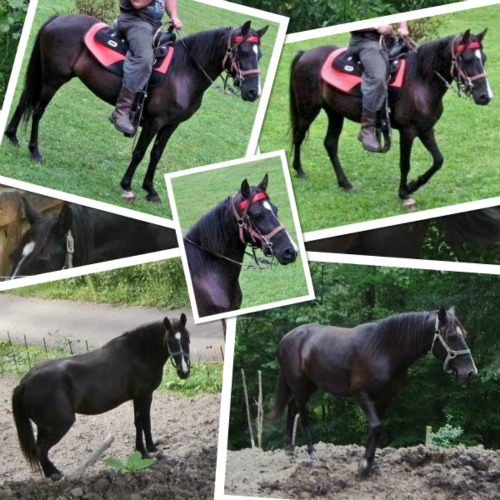 LITTLE LADY LUCK "Lady Luck" - 6 yro 13.2h Black Racking Pony Mare. OUTLAW - 9 1/2 yro 15.1h Gaited Bay Morgan Horse Breeding Stallion. RANGER - 22+ yro 15.0h Blood Bay Roan Standardbred Cross Racking Horse Gelding. 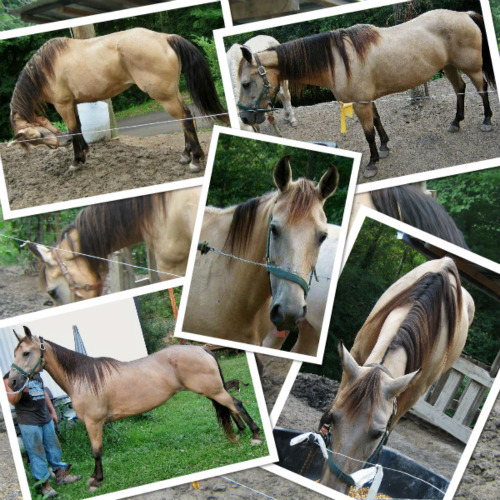 SAMBO "Sam" - 7 1/2 yro 15.3h Dappled Cream Champagne TWH Racking Stud. 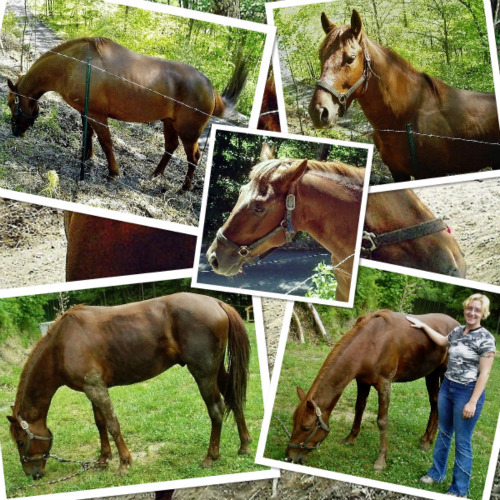 SHAWNEE - 6 yro 15.0h Sorrel/Red Dun Quarter Horse Mare. 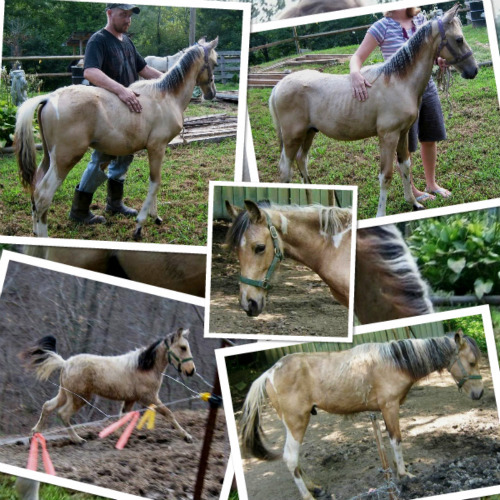 SOUTHERN SUNSET "Sunset" - 14 yro 15.2h Dappled Buttermilk Buckskin Racking Horse Mare, Registered NAHR. STAR - 4 yro 12.3h Pale Palomino Shetland Pony/Saddle Horse Cross Filly. 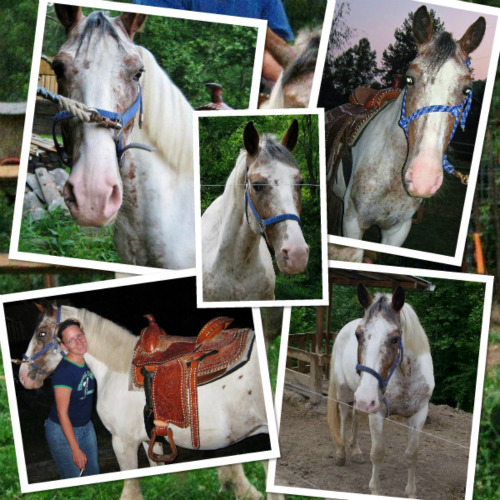 TANK - 11 yro 14.2h Grulla Dun Roan Snowflake Blanket Appaloosa Gelding. 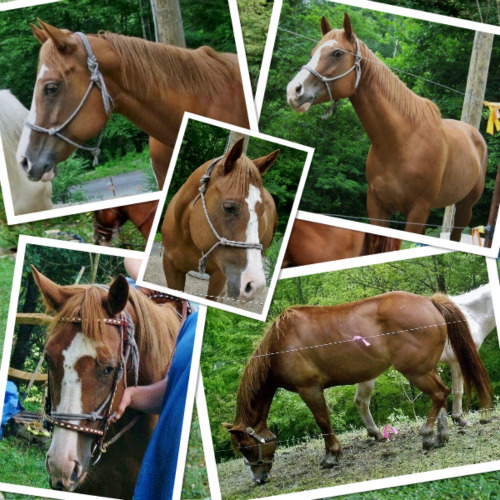 TRIGGER- 2 1/2 yro 14.0h Palomino Tennessee Walker Gaited Gelding. 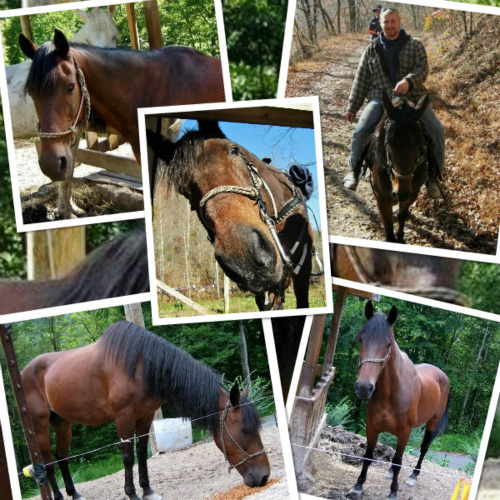 WHISKY- 4 yro 15.3h Liver Chestnut Tennessee Walker/Standardbred Racking Horse Stud. 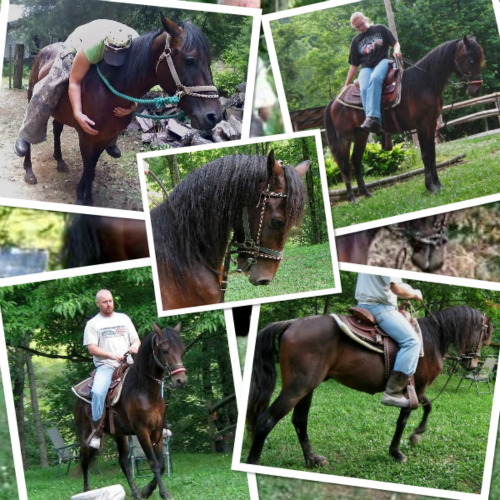 WILD BILL "Bill" - 4 1/2 yro 13.3h Smokey Black Racking Pony Stud.